Michael Simpson was the visionary behind One Sky. He founded it in 2000 and has lead this organization as its Executive Director for almost 15 years through projects on three continents in some of the most difificult contexts on the planet. He left the ED role in July 2014. One Sky is very grateful for his energy, fearlessness, and vision, which continue as the deep structure of One Sky's culture and practice. Gail has over 15 years experience working in international development, has a B.Sc. in Environmental Science as well as a M.A. in Environmental Studies, in an interdisciplinary degree from the University of Victoria. She is the co-founder and co-director of the global network Integral Without Borders, and is deeply committed to innovations in development practice. She’s a published author including the book,Developing Sustainability, Developing the Self: An Integral Approach to International and Community Development, as well as numerous articles in academic journals. Sushant has a Masters degree in Integral Psychology. He is a native of Kathmandu, Nepal and an integral researcher with a background in strategy consulting with degrees in Management and Finance. He has trained with Susanne Cook-Greuter, Ed. D. on Leadership Maturity Framework and its organizational application, and with Monica Sharma, MD and Vernice Solimar, Ph.D. in whole systems transformation and leadership development. 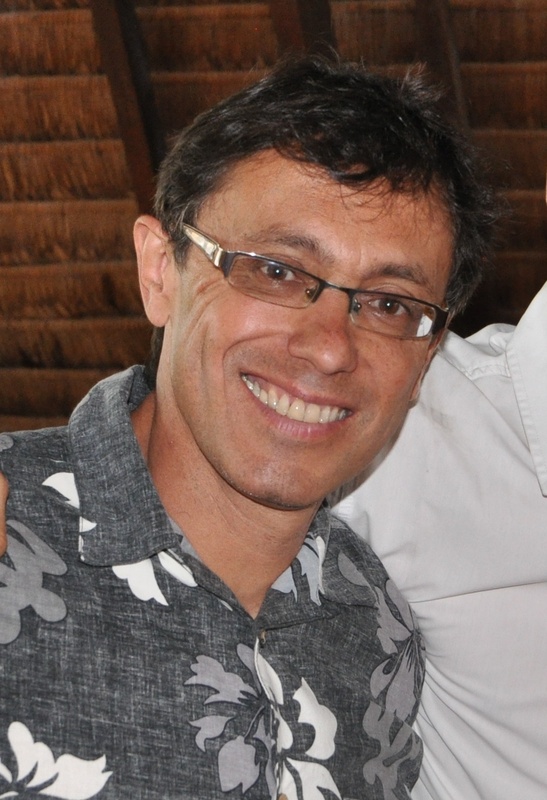 César Morán - Cahusac has a Masters Environmental Management from the from the Yale School of Forestry, throughout his career, he has implemented a vast array of conservation projects, including an organic gardening program for school children in Lima and a debt-for-nature swap financed by Finland for the Machu Picchu historical Sanctuary. He is editor of the Machu Picchu field guides for birds, orchids and butterflies. As Executive Director of ACA, he developed a financial sustainability program for the world's first conservation concession, located in the Los Amigos River basin in lowland Peruvian rainforest. In addition. Addionally, he has developed conservation concessions with native Andean and Amazonian communities in coordination with One Sky. ACA's mayor success lays in the consolidation of Brazil nut conservation concessions that benefit more than 500 farmers and protects over 400,000 hectares of forests. For the past two years worked on One Sky's integral leadership program in the Brazil nut sector in Peru. 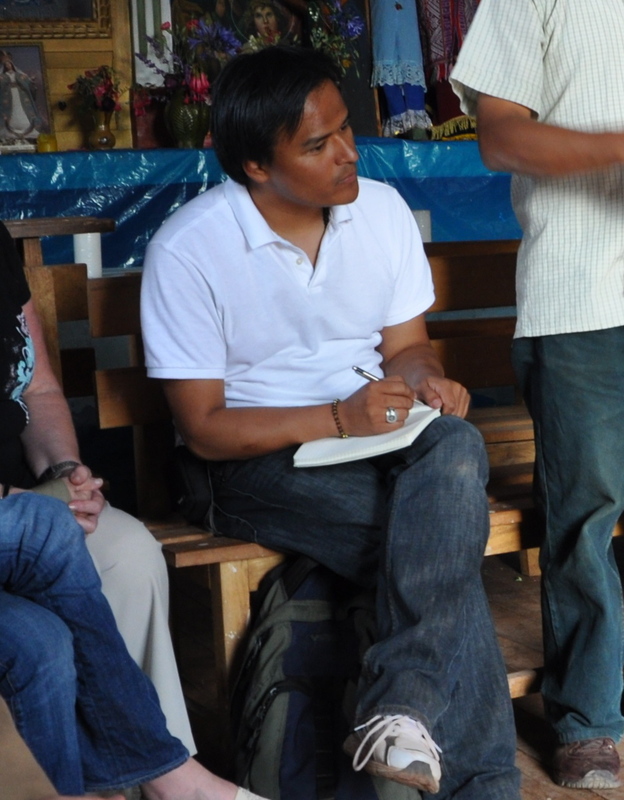 He continues as One Sky's Project Coordinator for Latin America to develop programming in Peru and Colombia. He is also a Sensei of Aikido and runs an Aikido school in Cusco, Peru. Jason was the first One Sky employee/contractor! Joining One Sky in its infancy, Jason traveled to Sierra Leone while the war was still being waged. His adventures with One Sky included setting up solar panels, computer networks, negotiating for land for an eco-centre and helping our partner Friends of The Earth Sierra Leone. 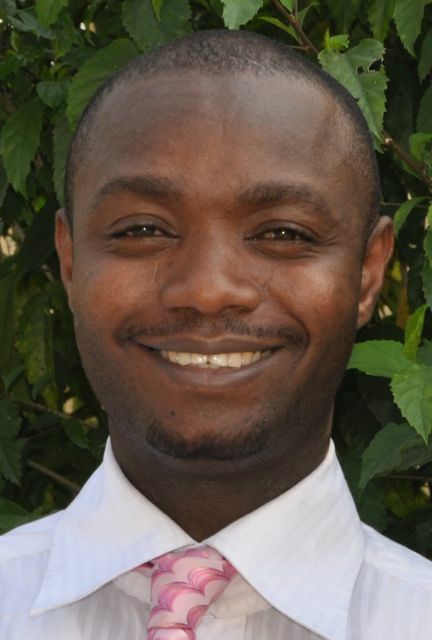 Nathan joined us as an intern in July 2001 at the same time as Nikki Skuce to assist in the development of curriculum materials in Sierra Leone. He stayed on for a full year as we developed our programming and organizational structure. Today, Nathan is our local Member of Parliament for the riding of Stikine - Bulkley Valley. Nikki was the Program Director at One Sky for seven years. Her passion is working toward environmental sustainability and social justice both at local and international levels. Nikki has participated in Canada World Youth on a Quebec/Tunisia cultural exchange program, studied abroad at Melbourne University, worked in Argentina through the International Institute of Sustainable Development and traveled extensively. Nikki has a B.A. in International Relations and Canadian Studies from the University of British Columbia. She is fluent in English, French and Spanish. Kirsteen joined the One Sky team to do our bookkeeping in 2002 and diligently handled our finances, including a series of audits, until the spring of 2007. Kirsteen grew our financial capacity from its rudimentary days to its current sophistication with the attention to detail that helped us survive multi-millions of dollars worth of programming. 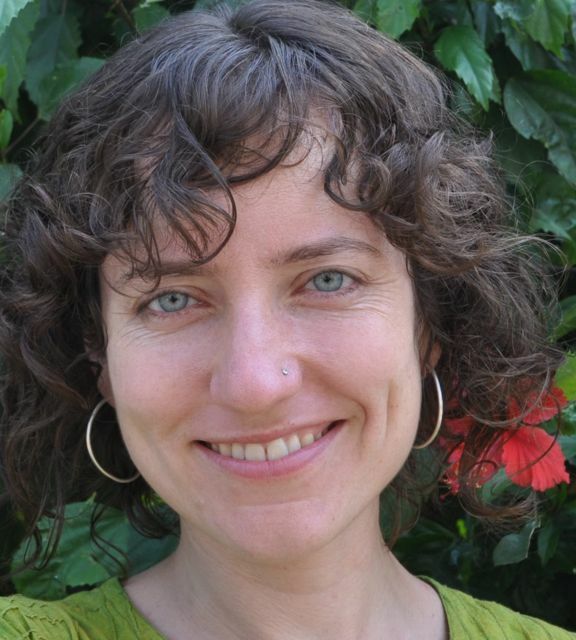 Ginny joined us as an intern in 2002 to work in Sierra Leone as an environmental education programmer. Her enthusiasm for Sierra Leone led to an extended stay with One Sky of almost two years in Freetown. 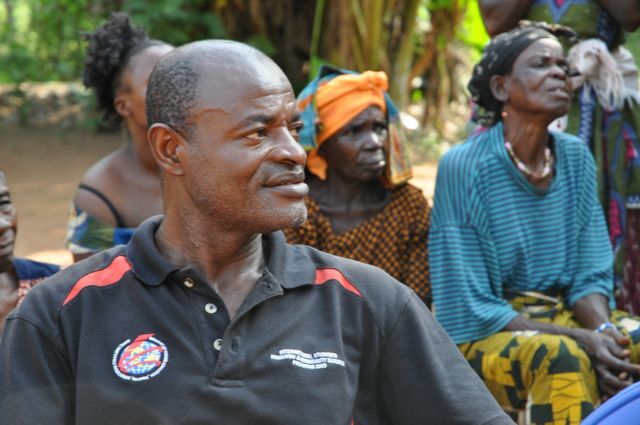 Ginny was instrumental in capacity development with Friends of the Earth Sierra Leone and organized a very successful micro-credit program with women’s groups in Sierra Leone. 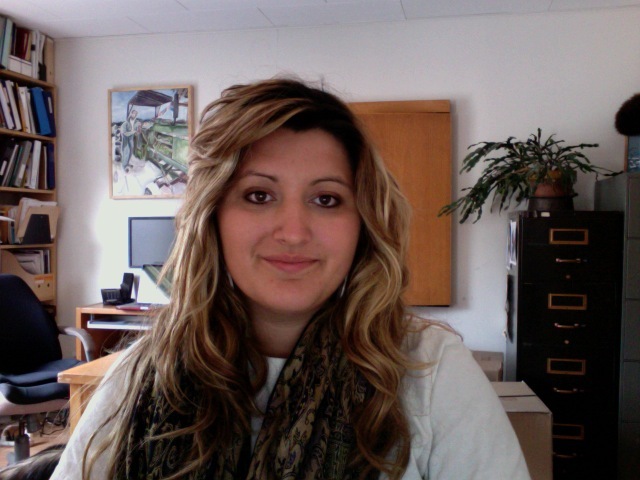 Today she is managing sustainability initiatives for The Globe Foundation of Canada. 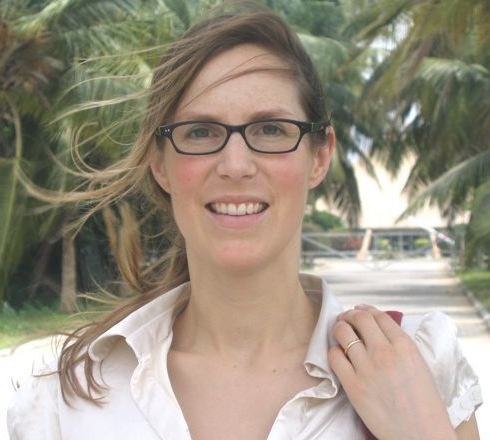 Jennifer Castleden’s first day on the job was flying into Lagos, Nigeria in November 2003 to become the project coordinator of a brand new environmental capacity development project in Calabar for One Sky. She managed the Cross River Environment Project with One Sky until September 2005 when she moved to the United Kingdom with her new husband, Victor Otoadese, where she is now living and raising a family. Kristin was One Sky’s Project Coordinator for five years. Prior to One Sky, she worked for a variety of organizations supporting youth action on issues ranging from war-affected children to poverty to the environment. She led One Sky’s Blood Diamonds campaign, coordinated One Sky’s internship and global education programs, and worked in Sierra Leone and on One Sky’s four year bilateral project, the Cross River Environment Project in Nigeria. 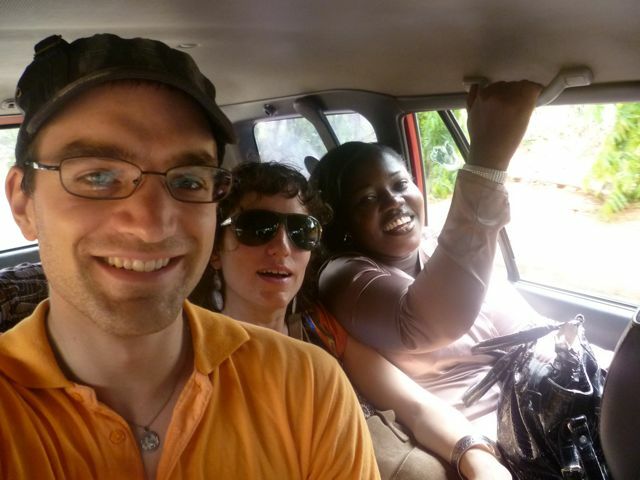 In West Africa she loves dancing in the streets and getting into political discussions with twenty people squashed into a mini-van in 35+degree heat. A newbie gardener, she is currently trying to express her love of the environment without killing the plants she’s attempting to nurture. Jennifer undertook an internship with One Sky in June, 2003. After working in Sierra Leone for five months we extended her contract until June the following year to help us with our environmental education program. She could be found in many parts of Sierra Leone, promoting composting, working on our agriculture program and promoting environmental awareness. 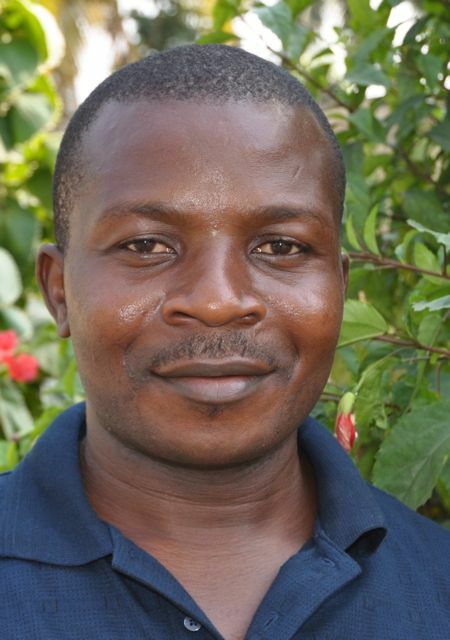 Mali joined us in June 2003 to complete an internship in Nigeria the following year. We extended her contract as a project assistant in our Calabar office until 2005. Mali worked closely with Jennifer Otoadese keeping the many complicated aspects of coordinating a coalition alive. Lori joined us in January 2004 upon the inception of our Cross River Environment Project. She was with us until July 2004. 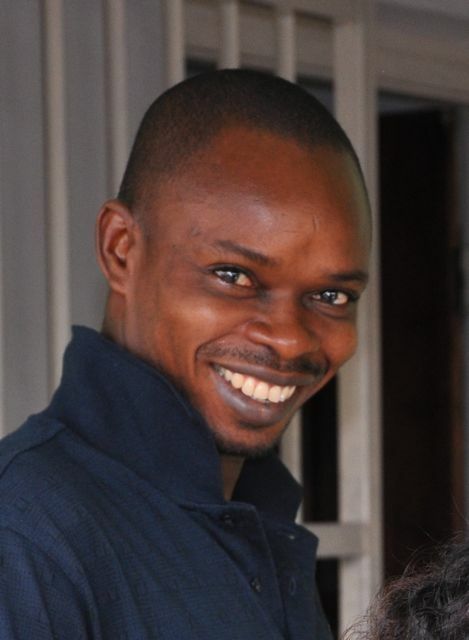 Tawo began working with One Sky as a volunteer during the organization of Energetic Solutions in 2004. His invaluable contributions led to a job working on logistics in our Calabar office. Tawo solved many, many problems for One Sky that ranged from water shortages to broken vehicles. He was our trustworthy driver and assisted with everything from security to event coordination. Tawo was with us until 2006. Greg joined One Sky as an intern in June 2004 and ventured to our Calabar office where he helped organize the Energetic Solutions International conference. Upon his return to Canada the following year, he stayed on with One Sky doing local energy audits and helping us to coordinate our energy program until January 2007. Greg can still be found on the One Sky premises working as a Policy Analyst for the Pembina Institute. Evelyne joined us in June 2004 as an intern. Her interest in HIV/AIDS and gender issues culminated in a position with One Sky as the HIV/AIDS Coordinator for the Cross River Environment Projectmade possible through Voluntary Service Overseas (VSO). 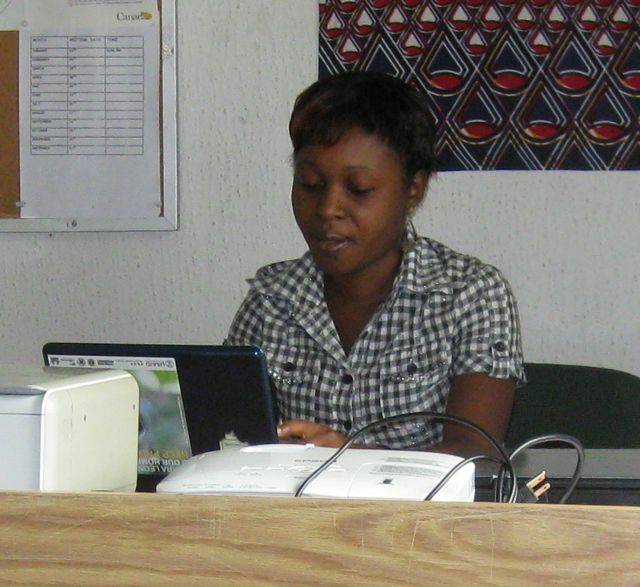 In this position, Evelyne supported our partners in Nigeria to integrate HIV/AIDS into their environmental programming. Eventually she returned in October 2006 to Canada to raise a family. Along the way she married our logistics coordinator Tawo, cheered the Nigeria program on tremendously and helped raise the profile of HIV/AIDS awareness among the environmental sector in Cross River State. Mark joined us as an HRDC summer student with our Energy Smart Smithers program, undertaking a series of energy audits with businesses in the town of Smithers. He analyzed energy use and potential energy conservation measures as well as to help implementing solutions to reduce energy footprints of participating small business owners in Smithers. Kelly Chapman joined us in November 2005 for an intense one-year contract coordinating our Cross River Environmental Capacity Development Project in Calabar, Nigeria. She worked closely with Patricia Eyamba and Kristin Patten to replace Jennifer Otoadese. She brought a creative edge, including a unique perspective on multi-stakeholder participation in policy dialogue and land-use planning to the work of the Cross River Environmental Coalition while also undertaking a series of evaluations and monitoring. She returned to Canada in December 2006. With funding from Service Canada, Therese joined us as a summer student and took over the running of our bicycle program in the summer of 2006. She rebuilt bikes, helped build our bicycle rack and instigated our blue-bike program before returning to her studies in September 2006. 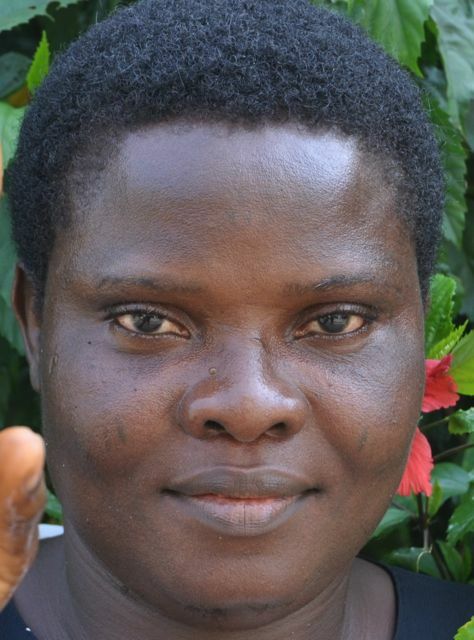 Stella joined One Sky as our Gender Coordinator in 2006 and worked in our office in Calabar until 2007. Working from a baseline assessment she undertook numerous gender workshops and capacity trainings in the communities and among our Nigerian partners. Catherine joined us to carry out a contract as a part of the A Fork in the Road project. Catherine has been coordinating the ‘gleaning’ portion of the project, connecting volunteers with gardeners, farmers and fruit tree owners to harvest excess produce which then gets donated to local service agencies in Smithers. Arnold joined us in July 2007 as a Service Canada summer student doing community outreach as part of the Smithers Community Bike Program. Along with his cousin Makenzie and a host of other volunteers, Arnold rebuilt and repaired bicycles during the summer months. Diane joined us to work on our Energetic Olympics Program and brought a long history and wealth of knowledge in grass roots organizing from London, Ontario. Well versed in energy issues, Diane assisted us in doing a web page, community outreach and in project design and delivery with the 16 communities involved in our two-year, CIDA-funded Energetic Olympics. Lee joined in 2008 as our new Program Director. Lee had a long history with Outward Bound and working in outdoor leadership. He is an accomplished writer and father of two young children. He moved here with his family and became very involved in local programming, so much so that he is now working in Smithers full-time on community health issues. Benoit is a former One Sky intern who worked in Mali on energy issues. Benoit was hired to carry out community energy related planning with One Sky and completed the Burns Lake Energy Plan. 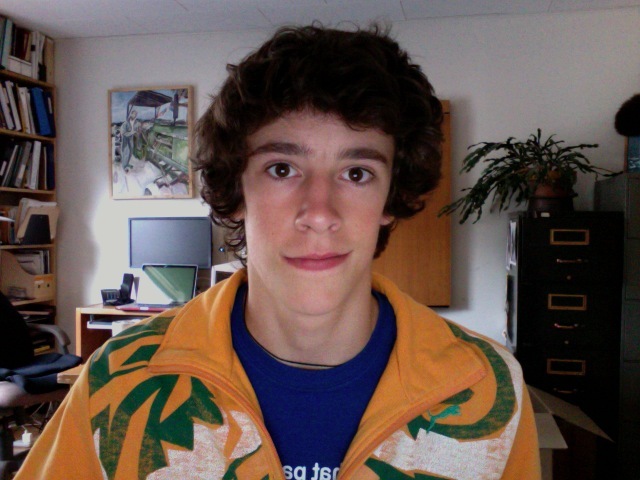 He also worked on our Energetic Olympics program and represented One Sky at the JPAC meeting in Mexico in 2008. Benoit continued to work closely with One Sky while working on energy issues in Mali, Africa. Benoit is currently studying abroad in Scotland. Alex worked with us as a student intern for the summer of 2009 assisting us with our bicycle program and local promotions. Heather worked with us as a student intern for the summer of 2009 assisting us with the fall fair and other local activities. Emily did an internship with us in Sierra Leone and went on to become a member of the board of directors. In addition she worked in our office bringing an invaluable perspective and plenty of new ideas. She was the force behind starting the car share coop and worked for the summer of 2010 in our office. She continues to work as one of our most valued volunteers and One Skyers. Tricia was our office administrator for three years. She developed many of our current bookkeeping systems, brought a discipline and rigour to our adminstration and office procedures, wrote our manual on how to run the place and generally nurtured us through many audits, reviews and reports. Tricia also worked on developing capacity for a local coop, was an integral part of many new initiatives and supervised when everyone else was in the field. Patricia began with One Sky as a gender coordinator bringing a fierce enthusiasm regarding gender equality to both One Sky and the context in Cross River State. She then began to work as a program office administrator assisting with our Cross River Environmental Capacity Development Project. Eventually, she moved into coordinating our Nigeria program as the in country coordinator and became an invaluable part of our team. She was instrumental in designing our leadership program remained with us until her family moved to Lagos in November 2010.